I love Ms. Mariah. All I Want for Christmas is You is the best Christmas song of all time. Period. So what could be better than blasting Pandora's All I Want for Christmas is You station and dancing around the house in your socks? Nothing. Absolutely nothing! 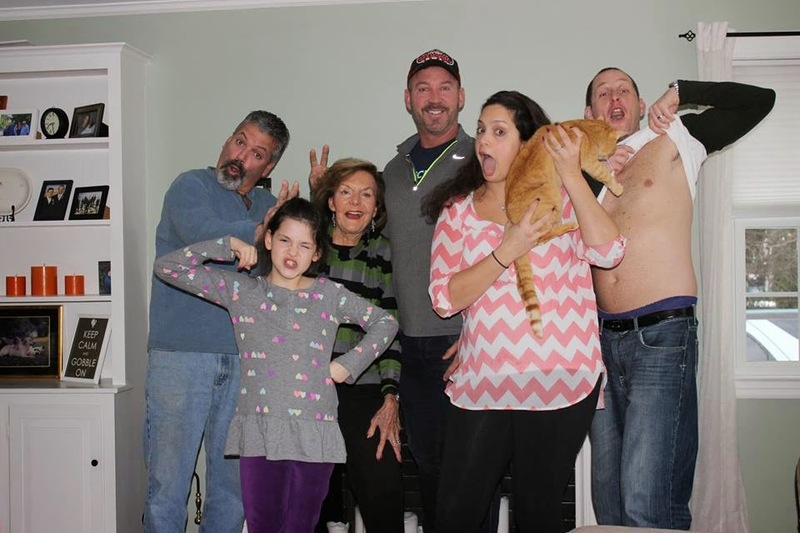 My big, crazy family drove from Michigan and Maine and flew from DC to come stay with us for Thanksgiving. It was a whirlwind day filled with turkey, an oven that caught on fire the night before Thanksgiving (don't EVEN get me started!) and tons of family bonding and love. 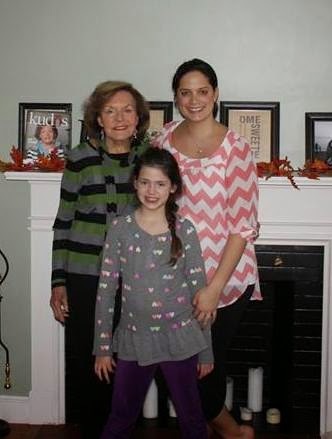 This is an awful picture (why do I let my husband man the camera?!) but I loved our table this year. 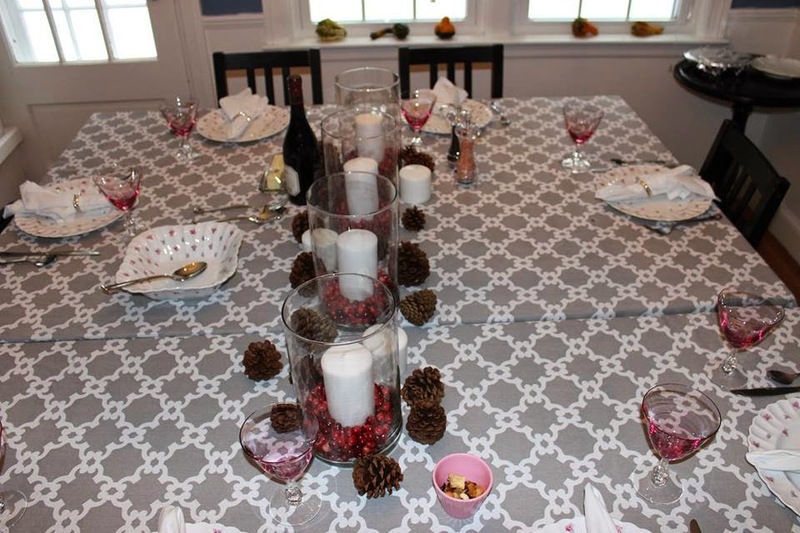 I mixed a modern tablecloth and centerpiece with my Great Aunt's wedding china and my Grandmother's wedding glasses. It is not up everyone's alley but I was smitten. I love these crazy people! Anyway, my house feels empty now and I have done about 78 loads of towels and sheets. I'm sad that it's over but I'm ready for my favorite season of all time to start... bring it on, Christmas! 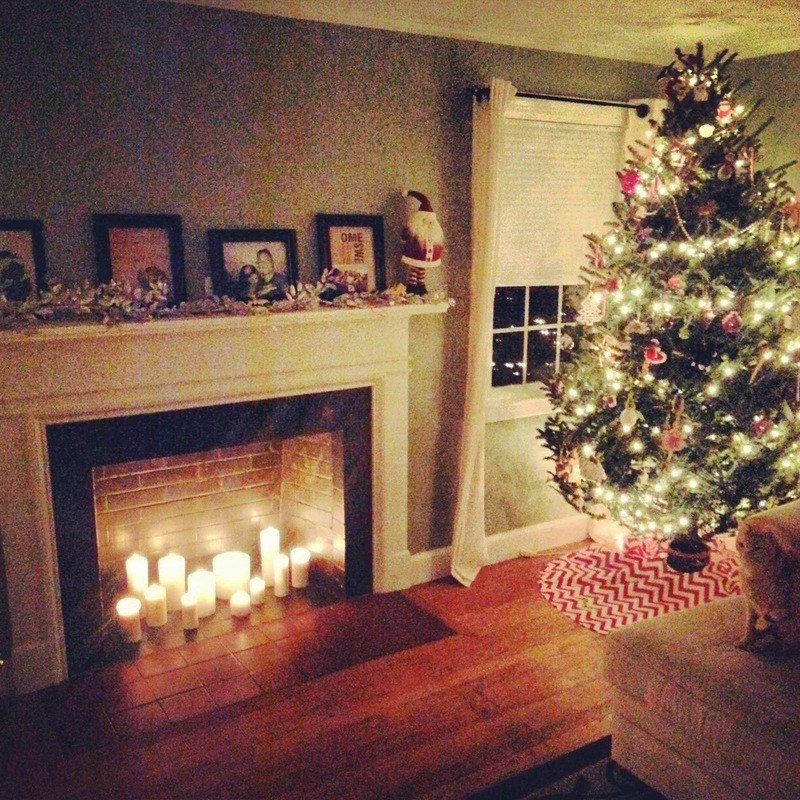 We haven't decorated yet, but this was out sweet little living room last year. We are getting our tree this weekend and I'm ready to go all Buddy the Elf on this house! I want my own personal elf. Or clone. Or personal assistant. I would gladly take any combination of those three! 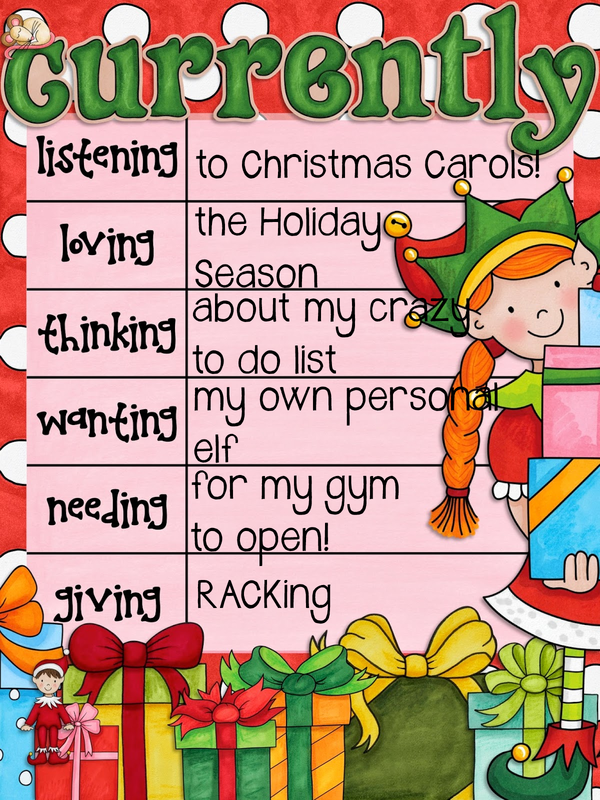 With lesson plans, correcting homework, hosting, decorating, shopping, birthdays, Christmas and so much more right around the corner this teacher is getting tired just thinking about it! I posted this picture in September. The gym I had gone to for five years shut down in the middle of the night and allegedly took a bunch of money from it's members. Super, super shady business! I had been going to the gym for 1 to 2 hours a day before our wedding, but ever since the gym shut down I have been getting l-a-z-y. 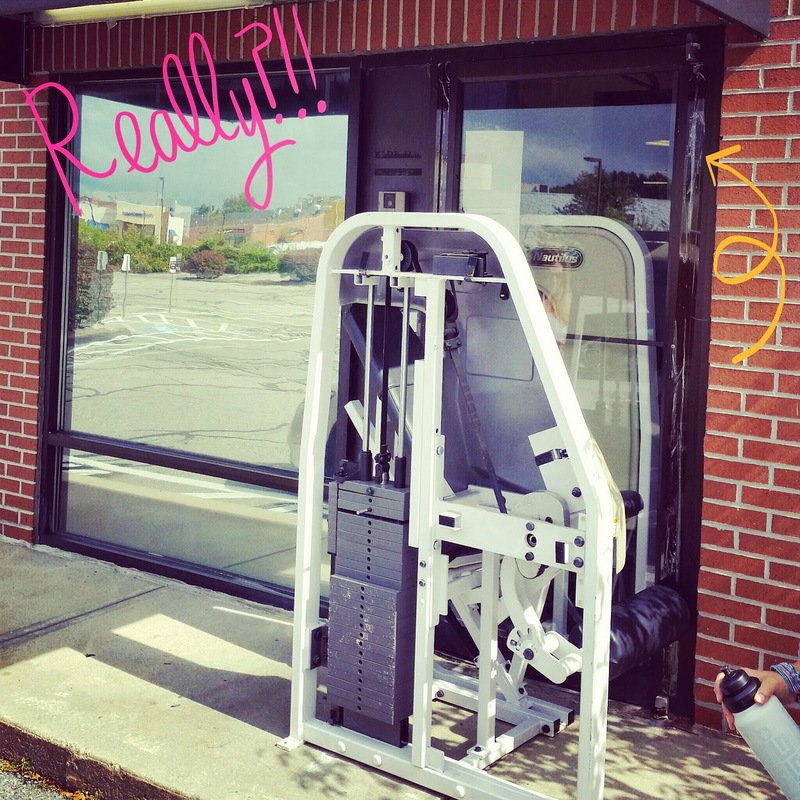 Thankfully a brand new, all women's gym is opening in it's place this weekend (yay!). I can't even tell you how excited I am to get back into the lifting and yoga swing, and out of the feeling like a fatty swing. I have never done RACK as much as I would like to, but I am going to commit myself to doing Random Acts of Christmas Kindness this year. 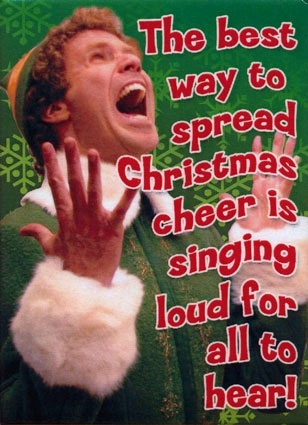 I am inspired and determined to spread that Christmas cheer! Totally with you with having your own elf! It seems impossible to get everything done sometimes!